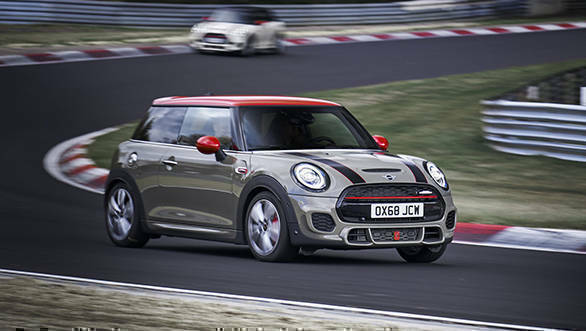 Mini John Cooper Works (JCW) hot hatchback is slated to be launched in India on May 9, 2019. 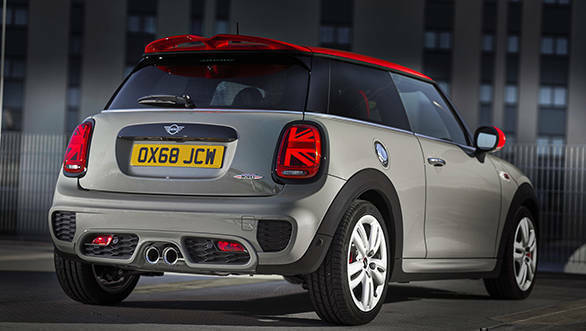 Mini will bring the facelift model that made an international debut last year in December. The midlife update was more mechanical than cosmetic. The three-door-hatchback gets a fuel particulate filter integrated into the sports exhaust system and does not compromise on the hot hatch's performance figures. The international spec gets a six-speed manual gearbox that exhales 57g/km - 162g/km of CO2 depending on the spec. However, it is more likely that the manufacturer will bring the eight-speed automatic transmission to India. The automatic variant of the Mini JCW gives out up to 140g/km of CO2 and the Mini JCW for the model year 2019 complies with the Euro 6 emission norms. Under the hood, the Mini JCW gets a 2.0-litre turbocharged petrol engine that is good enough for 231PS and 320Nm of torque. 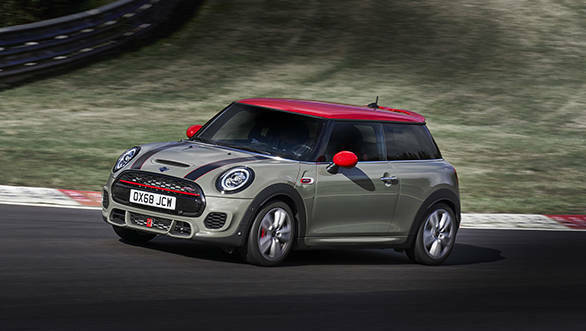 The 2019 Mini JCW can make a 0-100 kmph run under six seconds. 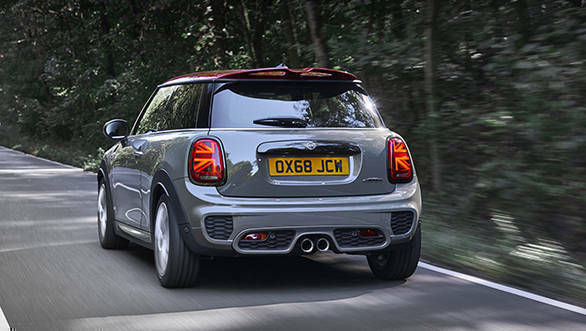 The Mini JCW gets the same body style as the Mini three-door-hatchback, however, the carmakers have given attention to detail to make it stand out as the more athletic version. The Hatchback will get a sporty paint scheme and highlights. The tail lamp will have the Union jack highlight split into two on either unit. The Mini JCW will get a piano black finish in its cabin as well as the exteriors, and the car will be equipped with JCW bucket seats as standard. The 2019 Mini John Cooper Works is expected to be priced at Rs 40 lakh and will be sold in limited numbers. In the Indian market, there is the Skoda Octavia vRS to rival the sporty nature of the Mini JCW, however, the hatchback will also rival the Mercedes-Benz A-class and the Volvo V40.